The best way you can help a child grow is to understand them. Knowledge of what growth stage they are at and where they are heading to allows you, as a caregiver, to set them up for success. But what is child development and what are the aspects that we need to know about? In today’s blog post we are going to answer all of your burning questions on child development and growth. Child Development is the growth of a child from the bottom up. A child grows through physical, social, emotional, linguistic and cognitive development. It governs capacities to learn, ways of behaving, and immune and hormone systems that influence physical and emotional health (Mustard, 2006). As mentioned, it’s a bottom up approach, so a child must crawl before they can walk, and walk before they can run. They must start with babble before words, and words before sentences. All children grow in the same direction but at different rates. This is why it’s important to understand where your child is at in their development and adapt learning opportunities to that stage. You want to be able to provide activities and games that can challenge and support them instead of bored or frustrate them. For example, if you play memory game with a child who is still matching pictures then they are going to get frustrated at the game and not want to continue. While if you give a matching game to a child who is ready for a memory game, they won’t be challenged and will either walk away from the game or have a false sense of achievement. Development is a steady increase in a child’s understanding of the world around them. They are reacting to their environment and it’s a child care provider’s job to ensure that they are giving children an engaging and thriving environment. For example, a playroom that has minimal toys/activities that lack diversity doesn’t provide the same experience as a room that has different toys for different areas of development. This isn’t to say that you need to fill the playroom wall-to-wall with toys. Rather, include different areas of the playroom. This could include a reading nook, drawing table and space on the floor for building blocks or just being active. Already, there are opportunities for language development (reading), cognitive development (counting blocks), physical development (rolling around on the floor) and social development (colouring together at a table). In our next blog post we will be providing a chart that goes through all of the development stages from infant to 8 years old as per A Framework for Ontario Early Childhood Settings. 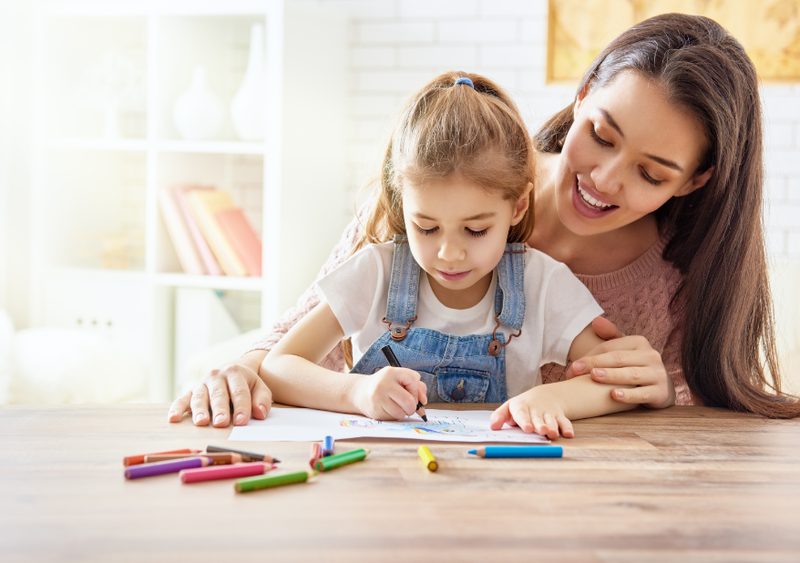 To learn more about having an Au Pair and how they can help with your child’s development, contact us today!